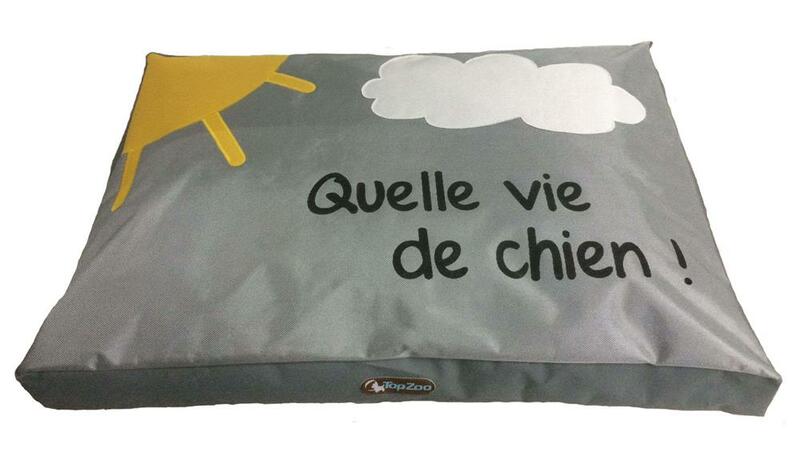 Mattress very comfortable and very chic, perfect for resting your dog. This cozy, solid coating has a warm polyester side and a waterproof water repellent polyester side. Your pet will love doing good naps on it. The interior is a cushion well padded with synthetic fiber of quality. Completely removable, the pad is machine washed at 30 ° C.